India is the only nation where the rainbow of diverse culture exists with its culinary. Lucknow is such city famous for its roadside snacks and local culinary. For a foodie like me, taste matters a lot. It not only enhances my mood but my soul too gets amplified with rejuvenation. The flavors and aroma of spices make me discreet from the outside world. When I relish some fast food of Jaipur I remind of Lucknow. It gave me some finest moments of relishing Lucknow local cuisine. Wondering of the city’s dotted paradise for foodie’s I reached Sahara Ganj to hunt for it. At last, I found my place of eatery at the Food Court. A local destination of fast food serves with innumerable dishes of Lucknow. It is said to be the city of kebabs and aloo tikkas. But I was interested to try something innovative. Street foods are my weakness and I can go to any heights to savor it. Lucknow gave me a complete distinct episode of it. Lucknow’s world famous chaat is the rendezvous with the aromatic and exotic flavors of the city’s delight. It was presented to me like a savior for my hunger cravings. The never-ending riot of flavors and spices is still taking place in my nostalgia. With my closed eyes it still dwells in my sight. Biryani is again the sumptuous delight of Lucknow which gives you another life to live as a prince. Having my appetitive full of roadside snacks it was the time to relish the mouthwatering deserts of the city. None other could be better than cream Kulfi. It is a travelers’ delight. For me it’s yet another way to paradise. A dollop of Kulfi is enough to take your senses in the different world so did happen to me. Travelling to Lucknow without savoring its delicacies is a curse in its own terms. But how fortunate was I to be blessed with Lucknow local cuisine. The food would forever remain animated in all my senses. I don’t know for how long but the memories are still afresh and would persistently linger all the way. 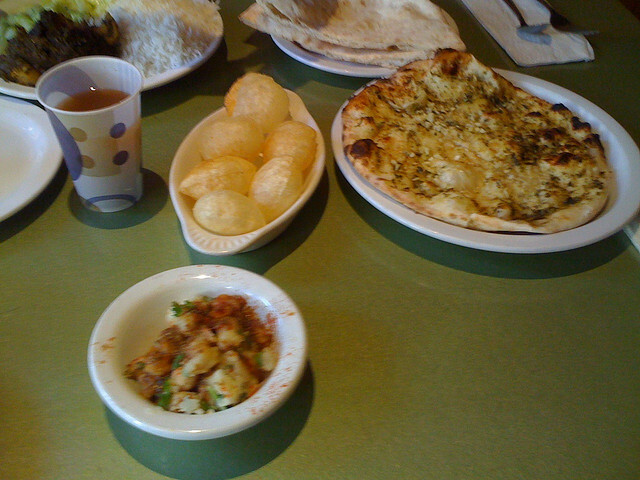 This entry was posted in Food, Travel and tagged lucknow local cusine. Bookmark the permalink.